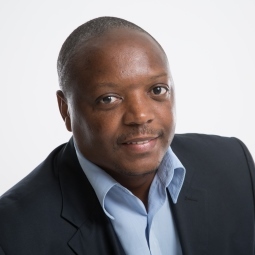 CSIR research into dynamic spectrum and future internet networks continues to garner international recognition; this after a paper co-written by the CSIR and the Independent Communications Authority of South Africa (ICASA) won Best Paper at this year’s IST-Africa Week in Namibia. In 2015, the CSIR’s research into dynamic spectrum management was also awarded Best Paper at the International Conference on Internet in Malaysia. IST-Africa Week is hosted by the Government of Namibia through the National Commission on Research, Science and Technology. It is supported by the European Commission and African Union Commission. This IST-Africa Week (30 May - 2 June 2017) engagement was the twelfth in an annual series of ministerial level technology research conferences. The CSIR and ICASA presented their paper titled ‘Spectrum regulation for future Internet networks in developing economies’. The paper describes radio frequency spectrum resources as a crucial enabler in future wireless ICT infrastructure and in the development of affordable broadband services. The paper presents research to support formulation of the dynamic spectrum regulatory framework, including co-existence techniques, interference avoidance and network device technology aspects in support of telecom regulators in emerging economies. Furthermore, the paper discusses the importance of spectrum sharing as a component of the emerging 5th Generation networking standard in addressing the exponentially increasing bandwidth capacity demand to enable the planned future wireless ICT connectivity and associated services. In awarding the best paper, the adjudicators also recognised the need for spectrum regulation and co-existence tools in almost all countries in Africa. There is also a demand for affordable broadband for the underserved population in rural areas. CSIR’s research has allowed for the development of a tool, known as a White Spaces Spectrum Database, which identifies and makes use of television white spaces (TVWS) channels for broadband services without generating interference with adjacent primary licensed services. Television white spaces are the unused spectrum channels in the TV broadcasting frequencies. These frequencies can be used for broadband delivery through the creation of TVWS networks. The CSIR White Space Spectrum Database has now received Ofcom certification. Ofcom is an independent regulator and competition authority for the UK communications industry. The certification allows for this CSIR locally developed technology to be utilised to effectively harness national spectrum resources and promote commercial provision of TVWS network services in the UK and elsewhere in the world.